Stottler Henke has worked with and continues to work with NASA’s Kennedy Space Center (KSC) to improve KSC’s Ground Processing (GP) scheduling. The solution, Aurora-KSC, has been designed, developed and deployed at KSC to automate a large amount of Kennedy Space Center’s planning, scheduling, and execution decision-making. Aurora-KSC leverages Aurora, the world’s most intelligent scheduling framework; Aurora itself originated in part from many earlier NASA-funded efforts and has been utilized by NASA for some of its most complex scheduling challenges, including the scheduling of the maintenance, repair & overhaul (MRO) of the Space Shuttle during its tenure. Aurora-KSC expands on this foundation, enhancing and extending Aurora for improved generalization and adaptability. This includes an interface with Primavera P6 and Microsoft Project so project information already available in these formats can benefit from Aurora-KSC. This allows KSC to realize significant efficiency improvements in several different areas. Aurora-KSC also includes adaptive execution, that is, executing the scheduled activities/procedures intelligently as actual execution actually deviates from the original schedule. Aurora-KSC is available to the wider NASA community to provide its many benefits to the rest of NASA. 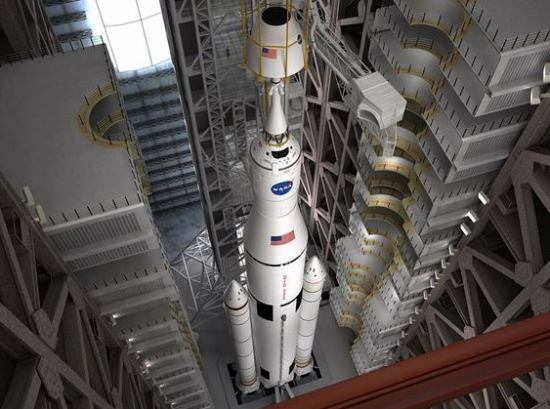 for the Space Launch System (SLS) , including reduced turnaround time in response to changes and what-ifs, and more optimal schedules. Aurora-KSC is used by NASA personnel directly and by JACOBS contractors. Saving the manpower of highly trained and highly skilled planners and schedulers and greatly improving their turnaround time to changes and requests. Automatically generating near-optimal SLS processing and assembly plans. Automatically near-optimally rescheduling in real-time in response to changes and requests. Supporting constraints unique to KSC, so models true to life can be built and scheduled. Allowing editing, display, and printing of PERT and Gantt charts with to-the-second accuracy (as needed for later tasks in the launch countdown).